Thanks so much to Putnam Books for these review copies. Jessica and I are a fan on Faye and her brilliance in these historical tellings are one to add to your list. 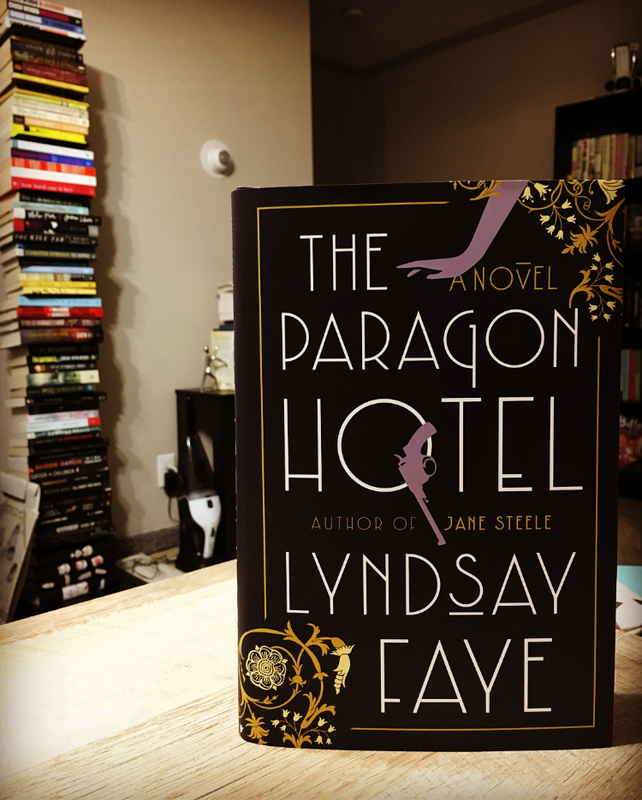 I've been a fan of Faye since Jane Steele and she come back to us again with another stunner in The Paragon Hotel. I'm not much on historical fiction usually but I've ben surprised lately.. however, I already knew going in that Faye has a talent of bringing history to life. 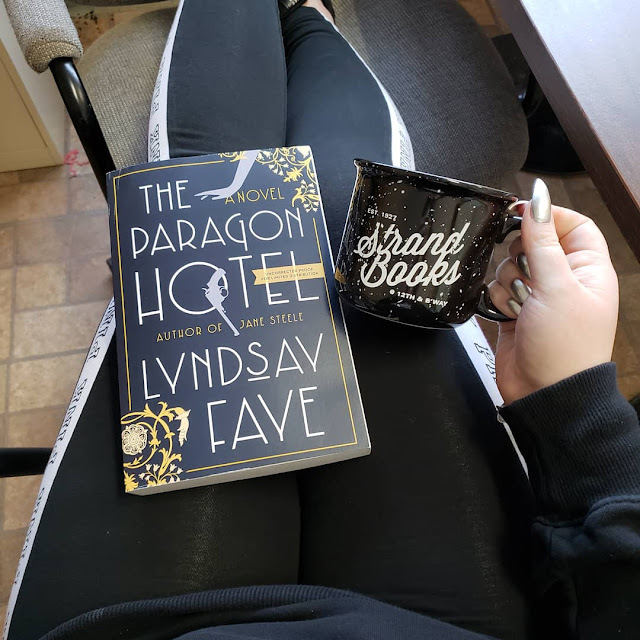 She brings Nobody and everybody into The Paragon Hotel. We switch back and forth from NYC Harlem and how Nobody, "just call me Alice", came to Oregon, The Paragon Hotel and her reasonings behind what she does. Introducing characters such as the doctor, Davy and Blossom, here comes a mystery I wasn't expecting and the KKK, which I was. 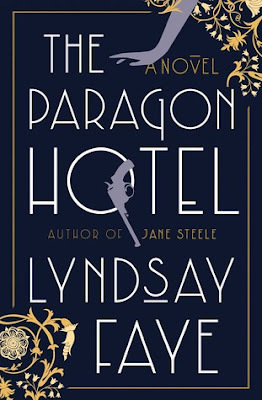 I was fortunate enough to meet Lyndsay when she was promoting The Whole Art of Detection and remember her mentioning this is where her next book was going to be heading. I was instantly intrigued and SO excited to get my hands on a copy. I'll be completely honest, it took me quite a bit to get into this book. The cadence and language was hard for me to grasp on to right away. "Quelque". There's nothing that comes out and nudges you or completely WOWs you in an instant scene or reveal. What we get is a span throughout the ENTIRE read that starts to settle into your soul. If you're a lover of historical fiction and reading about the KKK and prohibition times, this is most definitely the read for you. Don't let what I consider a slow start deter you. At right about the third way into the story, I found myself wanting to take this journey with Nobody. This time period is such a hard one - we still see racism and the KKK is still affluent unfortunately. Some language and scenes really made me angry and I found myself frowning quite a bit throughout the read. If a book can pull these feelings well... I think it's doing something right. My introduction to Lyndsay Faye was THE WHOLE ART OF DETECTION, a collection of Sherlock Holmes stories. I love her writing and how effortlessly she sets the scene and the creates the atmosphere for us. 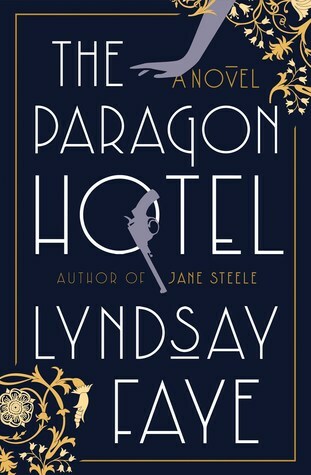 THE PARAGON HOTEL is another incredible historical fiction meets mystery read. Set in the 1920's, Alice, better known as Nobody, flees New York for Oregon. She ends up at The Paragon Hotel and we are introduced to a wide variety of characters. I was impressed with how well Faye was able to flesh them all out for us and how unique each character was. This book does deal with topics such as racism and focuses on the presence of the KKK in Oregon. If you're a fan of historical fiction that centers around the Prohibition era, then this will be perfect for you. Faye approaches the topics very well and immerses the reader in the time period. For some readers I can see the start being a little slow to grab you, but you find yourself becoming more and more engrossed in Nobody's journey. I can see this evoking an array of emotion from readers, such as frustration with the situations the characters find themselves in, but hey, that's a sign of a good book, right? If you're a fan of historical fiction then I would highly recommend this one! Faye has an incredible writing style and I'll continue to pick up her books!